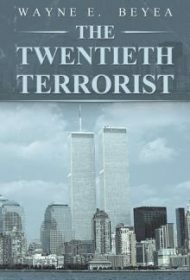 In this cat-and-mouse thriller, New York State Police Investigator Tom Weston must up his game to bring down a notorious terrorist tied to Osama bin Laden. Weston had been hunting Omar Bashoul for past crimes. On the day Bashoul appears in court, he suddenly gloats that the following day—September 11—will bring America to its knees. When the Twin Towers fall, Weston concludes that Bashoul had insider knowledge. Before Tom can question him further about his connections to the 9/11 terrorists, Bashoul’s followers break him out of jail. The chase is on as Bashoul sends his faithful after Weston and his family, while eluding the police and FBI at every turn until he can leave the country and join Osama bin Laden. Beyea, who worked in law enforcement, offers a strong sense of place in upstate New York as he details the inner workings of various police departments and the conflicts that often slow or derail investigations. However, readers feel little emotional connection to the characters, and, thus, the attacks on Tom’s family members have minimal resonance. Also, the slim book doesn’t allow room for character or plot development; when Tom’s aunt is kidnapped at church and taken to a car crushing facility, the matter is happily resolved in a scant 12 pages. Some speculate that there was a 20th 9/11 terrorist, and Beyea’s idea to flesh out such a character has potential. He might have had a more compelling thriller on his hands if he had slowed down and developed his idea instead of making a mad dash to the finish line.